A 2010 survey conducted by the journal American Nurse Today found that 44% of men and 57% of women age 65 and over take 5 or more medications per week, and approximately 12% of both men and women take 10 or more medications per week. While medications can help keep you healthy, the more pills you are taking, the more you run the risk of dangerous drug interactions. Complicating the situation is the fact that your body metabolizes drugs differently as you age, further increasing your susceptibility to these hazards. According to the American Geriatrics Society, one in every three adults age 65 and over will have one or more harmful reactions to a medication in their lifetime. As a patient aware these risks exist, you are your own best advocate, and are strongly encouraged to do the following when it comes to your medication. Create a medication list. You should keep an up to date medication list on your person at all times. It should include the medication names, dosages, how often you take the medicines, and why you are taking them. Include any vitamins or herbal supplements you are taking on this list as well. 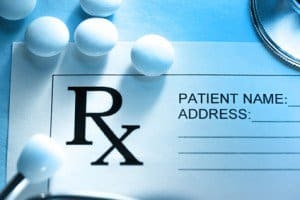 Make sure both your doctor and your pharmacist have a copy of the list, as this will make them aware of any possible drug interactions you are facing. Related to this, it is advisable to minimize the number of physicians and pharmacists you use, as it will allow them to get to know you more personally and better coordinate your overall medical care. That being said, don’t be afraid to obtain a second opinion if you are feeling uncertain about something you have been prescribed. Read the pharmacy label. Verify the medicine has your name on the label, the proper reason for you taking the medication, the correct name of the medication you have been prescribed, and the dosage information. Take the time to read the information provided about the prescription before you leave the pharmacy, and ask a pharmacist right away if you have any questions and about safe medication storage. Be aware that some medications have been potentially deemed unsafe for seniors. Click here to view the American Geriatrics Society’s “Beers Criteria for Potentially Inappropriate Medication Use in Older Adults.” You may be surprised to find the list advises caution against seniors taking some very common medications, such as antihistamines, tricyclic antidepressants, blood pressure medicines, insulin, ibuprofen, estrogen, and some treatments for Parkinson’s disease. Review this list carefully and discuss any concerns regarding it with your doctor before making any changes.